There are several articles about how to care for micro bead hair extensions and we thought it might be helpful to have an overview page about how to care for this type of hair extension. Micro ring hair extensions are known by several names including; micro loop hair extensions, micro link hair extensions, nano ring hair extensions and beaded hair extensions. We use the terms interchangeably as they pretty much all refer to the same type of hair extension and the only meaningful difference is that micro loop hair extensions come with pre-fitted plastic loops that speed up the attachment process. The approach to caring for micro bead extensions should be to care for the hair extensions and growth hair in a way that doesn't impact the stick tip extension bonds or the ring (beads)and so it could be described as a bead-centred (or ring-centred if you call them micro rings) care approach. We mean that there are styling products and tools that shouldn't come into contact with the rings (beads) which are used to attach the stick tip hair extensions. Below is a walkthrough of the basics of micro bead hair extension care and there are links to articles with more detail and step by step guides. However you choose to style your hair extensions after washing and drying, keep any styling products away from the micro rings (bonds) as these could contain substances that affect the bonds of the stick tip hair extensions and cause the micro rings to slip off your hair. Regularly moisturize your micro bead extensions with a water-based (mineral oil free) moisturizer - either lightly mist from the midpoint downwards (or spray it onto your fingers and then smooth downwards). Hair oils can be used from the mid length downwards. Heat styling tools can be used on micro bead extensions, but it should a low heat and away from the micro rings to avoid melting the stick tip extension bonds which could lead to matting of your natural hair. You can check out the in-depth guide about combing and brushing micro ring extensions and follow these pointers to get started. Detangle from the ends first using fingers and use large tooth or wide tooth combs. Avoid brushes with little balls at the ends of the bristles as the balls can catch on the rings and yank the extensions. You can check out the step by step guide to washing micro ring hair extensions and peruse the following to get started. There is less chance of tangling and more control over the washing process if the hair is separated into two loose ponytails. Before washing, run your fingers across all of the micro rings to make sure that they are all separated and not caught in each other. Detangle while the hair is dry, starting at the ends and working up towards the rings. 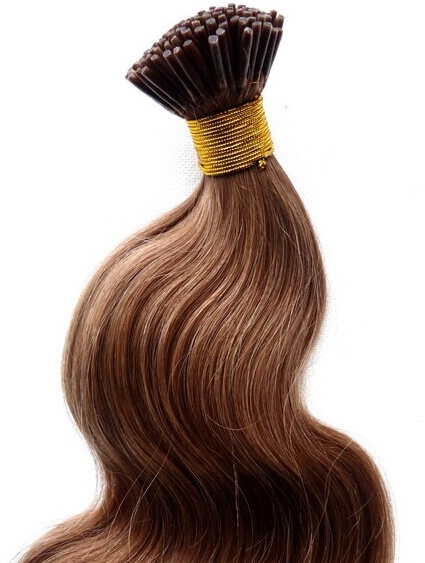 Conditioners should not come into contact with the micro rings as conditioners can cause the hair extensions to become sticky and deteriorate; only condition hair from the mid length downwards. 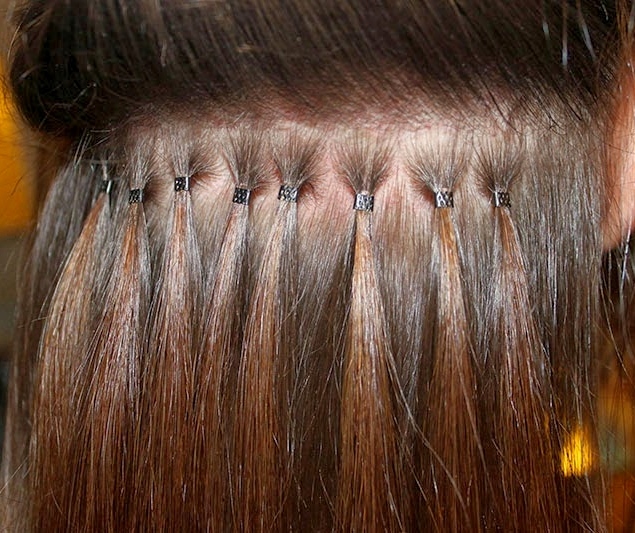 Micro ring extensions should always be dried fully after washing - and never be left overnight. Using these basic care tips will ensure that the bonds and beads (rings) of your micro bead hair extensions are protected and that both the hair extensions and your growth hair are kept in good condition.